Apple launched its iPhone X and introduced a new security option called Face ID – it recognizes your face and unlocks the smartphone. Apple has ditched Touch ID for Face ID by claiming that Face ID is much more secure. The iPhone X uses a bunch of sensors to recognize the user’s face and unlocks the smartphone. In addition to security improvements, Apple also claims this face unlock mechanism is a lot more user friendly than Touch ID. Face Unlock is a “new” feature which almost every Android smartphone maker seems to be adding in their smartphones these days. Even Samsung did it and users are finding this feature useful and using it in addition with fingerprint unlock. But if you still want this feature on your Android smartphone then don’t worry we got your back. 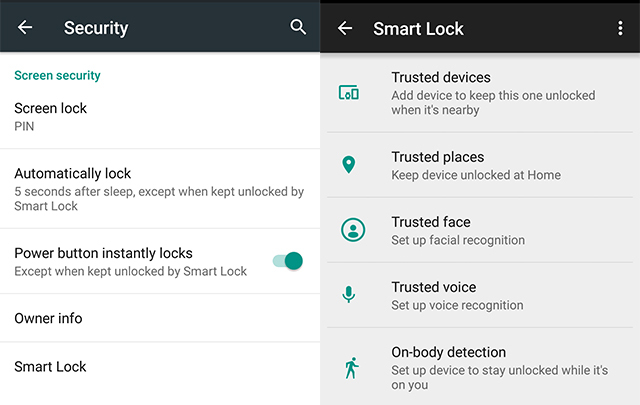 Here is a step by step guide which let you enable the face to unlock on your Android smartphone without even rooting your smartphone. Let’s see how you can do this. Go to Settings -> Security -> Smart Lock. Type the PIN or draw the pattern to proceed to the next page. Now tap on the Trusted Face option and follow the setup process. Make sure while setting up your face, step outdoors to get more light so the camera can recognize your face better. When the setup is complete, you can test the unlocking process by locking your smartphone and unlocking it by aligning your face with the front-facing camera. You can always go back to Settings and improve the face recognition feature by registering your face again. For this, follow the process as above, and select Improve Face Recognition when you see the option. The Face unlocking feature here is not as secure as fingerprint or PIN unlock because it can be fooled with your picture. You should always use a fingerprint or PIN security and not this. This can only be done to look cooler among your friends. Also, this option is not as fast and convenient as the fingerprint sensor because, for this, you always have to align your face to unlock the device.